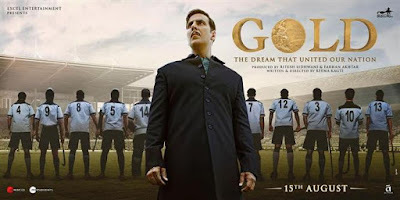 The film Gold released on Independence Day vacation which stared Akshay kumar and Naagin actress Mouni Roy. The film had good collection from opening day and is unstoppable. The movie has collected 25.25 crore on its first day. Akshay kumar previous highest opening collection was ‘Singh is Bling’ i.e 20.67 crore and now Gold film is best for him. It also became this year’s third highest opener after Sanju and Race 3. The August 16th being working day has collected 8 crore. As per expectation it might have collected 10 crore. The total boxoffice collection for 3 days is 43.25 and racing towards 50 crore. The film is sports drama that revolves around victory of gold medal win at London after India’s independence against British. It faced horns of Satyameva Jayate which also got good response but stood ahead of it. This is debut for TV actress Mouni Roy.